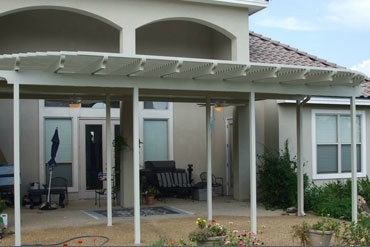 Whether you need shade from the sun, a place to enjoy parties or your own outdoor retreat, we offer a complete exclusive line of Suncatcher pergolas that will take care of your outdoor needs. 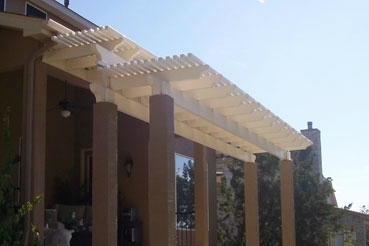 They will give elegance and character to your home while providing you optional amounts of shade or sunlight to your outdoor patio living area. 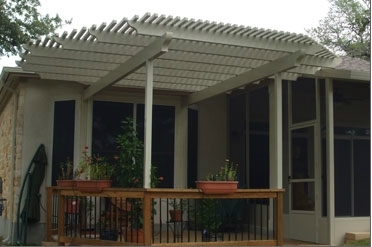 Suncatcher’s aluminum composition and embossed wood texture give you the physical appearance of wood with minimal to no maintenance. 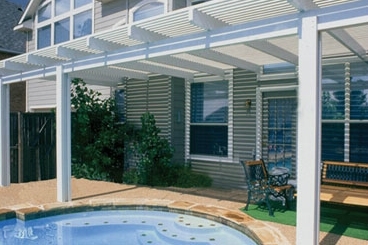 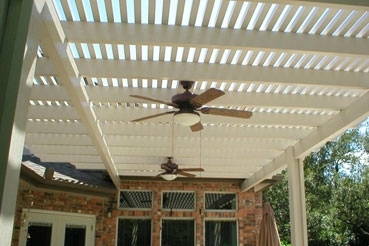 Open lattice patio covers also contribute a cool ventilation effect within the covered patio living area. 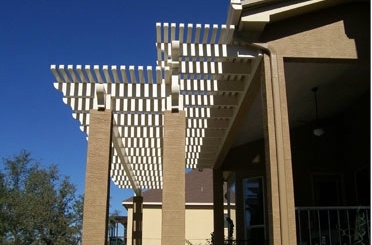 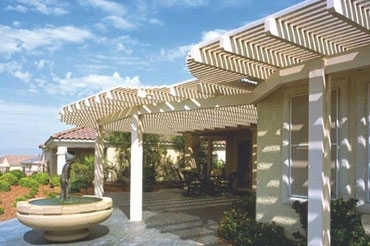 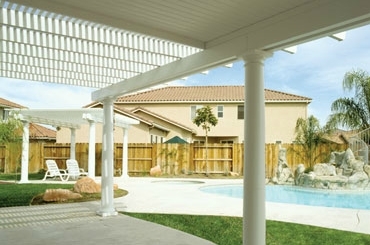 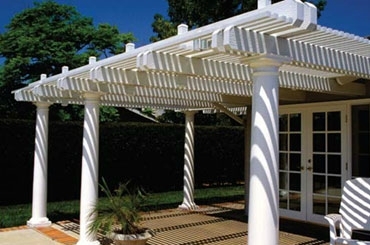 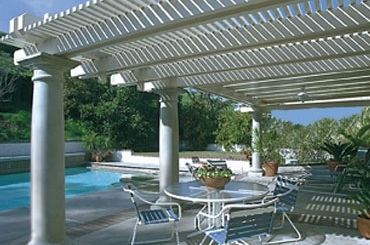 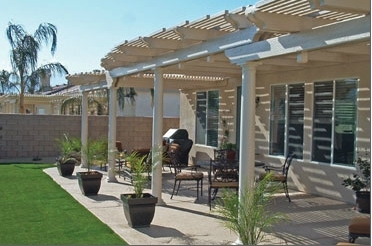 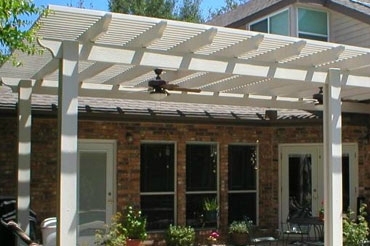 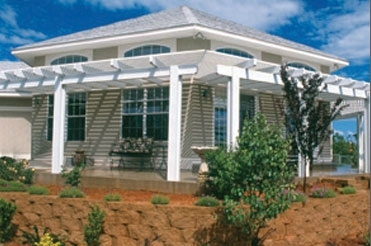 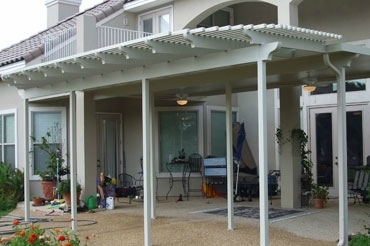 You can select the amount of shade your pergola will provide, from 60% to 30%. 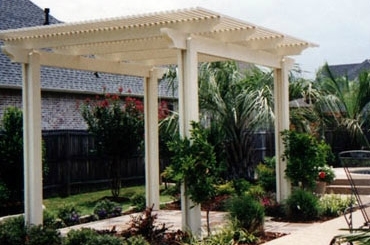 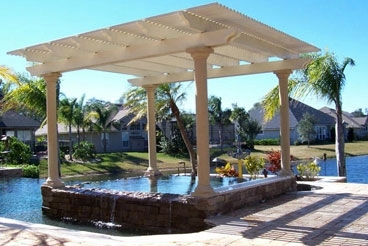 Create the patio cover you wish today and enjoy it for a lifetime.